The area of Garhi Shahu in Lahore has many a fond memories for me because I spent my childhood running around in its small streets. I recently found this wonderful article on Garhi Shahu written by Majid Sheikh in Dawn in 2002. This post is a blog version of that article, adapted to a blog format and with some updates by me. Lahore, definitely has a rich historical past and when talking about Garhi Shahu, one cannot forget but mention the railway station, or the Christian community, or the Burt Institute or that wonderful dance club (Nautch Ghar) that no longer functions. Then there are also the Convent of Jesus and Mary, the Jamia Naimia Mosque, and the Taj and Crown cinemas but surely there is much more to this place than we have ever cared to explore. Garhi Shahu reached its pinnacle of fame during the British period with the laying of the railway track. At the time, being an engine driver was the ÃƒÂ¢Ã¢â€šÂ¬Ã‹Å“in thingÃƒÂ¢Ã¢â€šÂ¬Ã¢â€žÂ¢. Initially, all the engine drivers were British for whose accommodation, the Raj laid out beautiful residential colonies near the rail track. Many of the spacious colonies still exist as reminders of favors bestowed upon its employees by the Raj. There is the still superb Mayo Gardens, the Burt, and also other colonies on both sides of the old Mayo Road, now renamed after Allama Iqbal. Another part of our history lost to the nationalistic fervor of renaming roads and localities. As the railways grew, the British then started hiring Indian Christians, mostly of Portuguese origin from Goa and soon Lahore became filled with DÃƒÂ¢Ã¢â€šÂ¬Ã¢â€žÂ¢Souzas, DÃƒÂ¢Ã¢â€šÂ¬Ã¢â€žÂ¢Sylvas and Ferrairas, alongside the fairer skinned British origin names like Burtons, Brians, and Nibletts. The new recruits were also inducted into the railway police, and later on into the Punjab police, where they all served this city with distinction. During that time, the social and cultural environment of Garhi Shahu was markedly different from the rest of Lahore, making it a much sought after area. Today, you will be hard pressed to find any of these names here, as almost all of them have for valid reasons ÃƒÂ¢Ã¢â€šÂ¬Ã…â€œflown to cooler climesÃƒÂ¢Ã¢â€šÂ¬Ã‚?. But then the real story of the area must begin a long time before the Raj during the days of Emperor Shah Jehan, for during his reign an Arab sage by the name of Abul Khair came to Lahore on his travels from Baghdad. In those days, the area now known as Garhi Shahu was known as Mohallah Syedan, because in this area lived scholars like Syed Jan Muhammad Hazuri, after whom is named the famous Hazuri Bagh. 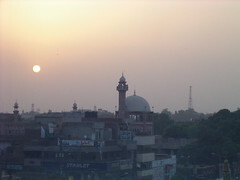 Abul Khair was a well-known scholar of Islamic jurisprudence and upon reaching Lahore, found the intellectual environment of Garhi Shahu much to his liking and decided to settle down here. During the reign of Aurangzeb, the fame of Abul Khair spread far and wide. The emperor ordered that a madressah be built for Abul Khair and a suitable residence be arranged for the scholar. A firmaan or a Royal Order was also issued instituting a maintenance allowance for the upkeep of the house and the madressah and so Abul KhairÃƒÂ¢Ã¢â€šÂ¬Ã¢â€žÂ¢s institution was founded. For some time after that, the area was also known as Khairabad. Today, the madressah is but a hoary ghost of its former splendor. It lies empty and derelict on one edge of a small graveyard at the end of a small lane as the road curves towards the main Garhi Shahu chowk. 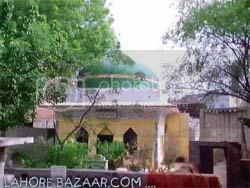 Abul Khair taught in his madressah till the age of 105, and on his death he was buried here, as were other well-known persons of that age. As the Mughal Empire was folding and anarchy was slowly settling in, scholarship and learning were no longer on a premium. Before Maharaja Ranjit Singh came to power in 1799 and finally managed to bring order for 40 odd years, Lahore was ruled by a triumvirate of Sikhs of dubious distinction for about 30 years. During this period, anarchy reigned supreme and the madressah was taken over by a khalifa by the name of Muhammad Naeem, who taught there but on his death there was a void. But as we all know, anarchy has rules of its own, and it knows how to fill in voids on its own accord, just like in our times ÃƒÂ¢Ã¢â€šÂ¬Ã‹Å“qabza groupsÃƒÂ¢Ã¢â€šÂ¬Ã¢â€žÂ¢ make a mockery of the law, in a way very little has changed. Abul KhairÃƒÂ¢Ã¢â€šÂ¬Ã¢â€žÂ¢s house and madressah had many scoundrels with an eye on it. As was the fate of many other historical buildings in the area, people started stealing bricks from the buildings of the madressah. Students of the madressah were constantly harassed by groups of dacoits and stripped of their meager belongings. Then came a real godfather by the name of Shahu, and along with his gang of rustlers, he took possession of the buildings meant to accommodate Abul Khair and his scholars. His gang went on a rampage, stealing cattle and other valuables from the area which they then hid in the madressah for safekeeping. If the owners demanded their possessions back, they would return them for a small price otherwise, they would sell their goods. This was the age when Lehna Singh, Suba Singh, and Gujjar Singh (the three rulers of Lahore) were restricted to their small domains. In between there was no law. The gang of Shahu ruled supreme, and it was from him that the name Garhi Shahu came. The Sikhs started calling it by this name, so did the British when they arrived, and so do we, and ÃƒÂ¢Ã¢â€šÂ¬Ã…â€œthere seems no reason why we should change its name just because Mr. Shahu was a shady character and lived a life very much like many a ÃƒÂ¢Ã¢â€šÂ¬Ã‹Å“respectableÃƒÂ¢Ã¢â€šÂ¬Ã¢â€žÂ¢ citizen these days, and one does not say this in jest.ÃƒÂ¢Ã¢â€šÂ¬Ã‚? The British changed the character of Garhi Shahu, for it was the hub of their entire effort to provide their forces and subjects with a means of communication that revolutionized life in a major way. ÃƒÂ¢Ã¢â€šÂ¬Ã…â€œBut who would have ever thought that an area that came up to accommodate a most learned man never kept his name, and a complete scoundrel managed to keep his name alive because he was a genuine ÃƒÂ¢Ã¢â€šÂ¬Ã‹Å“qabza groupÃƒÂ¢Ã¢â€šÂ¬Ã¢â€žÂ¢ leader. Strange are the twists of fate that we see in Lahore, for every brick has a story to tell.ÃƒÂ¢Ã¢â€šÂ¬Ã‚? The historical photograph of the Railway Station at Lahore, Pakistan was taken by George Craddock in the 1880s and is part of the Bellew Collection of Architectural Views. Raza Noor has a passion for exploring the history of Lahore, which he does on his dedicated Lahore website and also on Metroblogging Lahore. I was born in Garhi Shahu as my father. We resided here for more than a century. My, along with me, family was a railway-family. Now i have shifted to Lahore Cantt. 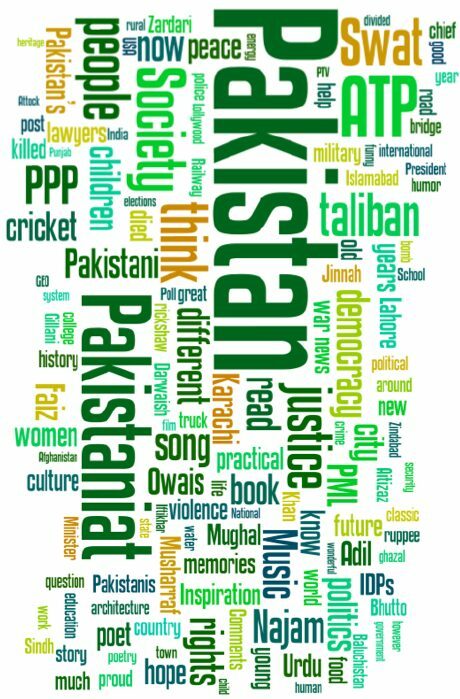 I studied in Abbottabad Public School the output of that school is Army general, ministers, bureaucrats and businessmen; so I have an access to the most fashionable colonies and houses being my friends living therein. I found nothing like Garhi Shahu (somewhere said “Shau di Garhi”). I was born in Ahata Rahim Bakhsh, Burney Road, then shifted to Dharampura, then back to Garhi Shahoo, opp. 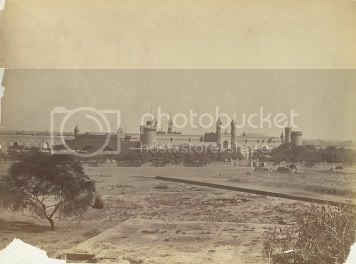 Sardar Girls High School, then to Muhammad Nagar adjacent to Jamia Naeemia, then Railway flats in Batti wala Chauk. Milk from Hafizji, Meat fro Phajja Qasaee and then Aziz in Main Bazar, grocery from Mian Bazar Amratsariyan di Hatti. Worked in Railway Headquarters Office, Nawa-e-waqt and Radio Pakistan/PTV Lahore. Hatemongers Attack Pakistan Again: Ahmedi Mosque Gunned. 70+ Killed.